Though God can and does bless us now, the majority of the blessings we receive as Christians are spiritual and they are waiting for us in the heavenly places. God does not promise or guarantee us health, wealth, success or prosperity. As a matter of fact, Jesus told us in this world we would have tribulations. However, our true blessings come through Christ Jesus our Lord. All of God's promises to us are wrapped up in His grace and mercy. And they are made available to us through the death and resurrection of Christ. Through our faith in Him we not only become children of God, but all God's promises become available to us. This includes eternity spent in the presence of Jesus, glorified incorruptible bodies, along with more joy and peace than we will ever know in this world. And the guarantee of these promises is the indwelling of the Holy Spirit here and now, to guide us in our walk with Jesus as we grow in Christ and the understanding of His word, the Bible. The heavenly places mentioned here in this verse refer to God's complete heavenly domain from which all of God's blessings come. 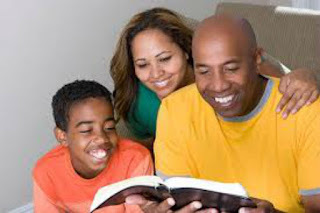 And because of our faith in Jesus, we are to dwell in Christ through the study of His word, fellowship with other believers and through submission to the guidance of the Holy Spirit in our day to day lives. Moreover, God's abundant blessings belong only to those who are His children through faith in Jesus alone. These blessings include Jesus' righteousness, which was imputed to us. This means the righteousness of Jesus has been freely credited to us, because of our faith in Him. Our sins have been paid for by His sacrifice for us, thereby bringing us back into fellowship with a Holy God. This in turn brings with it the privilege of our new position in Christ. Which means we become joint heirs with Jesus and we are adopted into the family of God as children of God. This in turn makes available to us the resources and power of God in our lives, through prayer and the indwelling of the Holy Spirit. They are available to us through the Holy Spirit who indwells every believer. Moreover, it's the Holy Spirit through whom the process of sanctification takes place as He works in us, changing our hearts and minds to bring about our spiritual growth.